After some turbulent times, prog-rock legend NEKTAR is back ! 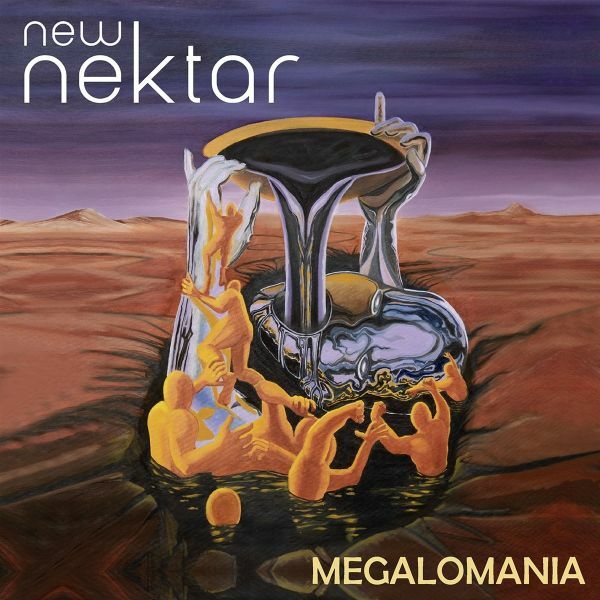 Now it's called NEW NEKTAR!The new album Megalomania takes stock of the current state of the world and is shaped by shared experiences and events unfolding over the past years. Contemporary and critical of its time, it remains conscious of NEW NEKTARs extensive and great history, with the new tracks continuing effortlessly along this path. Drummer Che Albrighton (son of original member Roye Albrighton), Klaus Henatsch (keyboards) and Tom Fry (bass) have been on the road together with Roye and Ron Howden as NEKTAR in recent years. New in the band is singer/guitarist Alex Hoffmeister, himself a live Krautrock legend, who now stands in the optical center of the band and does not even try to replace the deceased Roye Albrighton. He sets his own fragrance brands!NEW NEKTAR has always been shaped by group changes and trips down various musical avenues. Now there is this new line-up again, with Klaus Henatsch the 11-year constant. He is also the one to whom, after the passing of frontman Roye Albrighton, the baton has been passed as musical lead, producer and head of the band. The tracks featured on "Megalomania" persuade the listener through innovative song writing, melodic complexity and a musical sense of adventure. And yet, they remain true to the sound of past NEKTAR releases, most recently "Time Machine".In December 2018, NEW NEKTAR will be on tour in Germany and deliver proof that they have been rightly termed a signpost for contemporary neo-prog, all whilst remaining one of the original pillars of prog-rock.